The Africa Special Interest Group (ASIG) invites proposals that contribute to the research space by bringing in an African perspective and/or situating the research focus within an African context. Proposals should make connections to this year’s conference theme: Re-mapping global Education: North-South Dialogue. ASIG is a valuable space for utilizing the lens of African context, ontology and/or epistemology to deepen the dialogue on education locally, nationally, transnationally and globally. Indigenous approaches to knowledge and learning. Indigenous and contemplative education: similarities differences. Contemplative inquiry for big questions of life: ultimate meaning/purpose of life, personal identity, transcendence, vocation, service. Non-traditional approaches to education are often in alignment with the thrust of Contemplative Inquiry and Holistic Education; indeed, a number of contemplative traditions, epistemologies, and practices have their roots in Indigenous, Aboriginal, and First Nations traditions. We encourage you to submit your proposals to CIHE SIG for the upcoming conference on these or other themes related to CIHE. The Cultural Contexts of Education and Human Potential (CCEHP) SIG invites individual paper submissions, group panels, and posters that align both with the conference theme “Re-Mapping Global Education: South-North Dialogue” and CCEHP’s thematic focus. 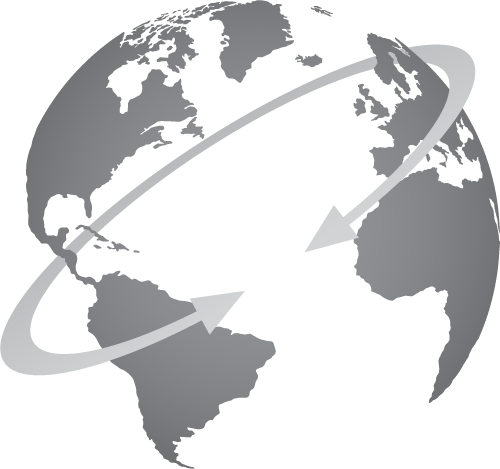 CCEHP cuts across cultural, disciplinary, methodological, and geographical boundaries. Research and best practices that focus on the cultural aspects of individuals, groups and/or countries, including a broad range of research methodologies and policy analysis are welcome. We particularly encourage our members to contribute to CCEHP’s robust understanding of culture, race and equity by bringing critical and complex questions to the forefront of education. For example, we particularly invite transnational scholarship on culture, race, gender, Indigenous knowledges, language, anti-colonial thinking, decolonial perspectives, disability, and mental health. By grounding your work in your own ideological, ontological, and epistemological locations with “equity” and “voice” in mind, we expect that such diverse engagement with the conference theme will contribute a more intellectually rigorous experience for our diverse community. Scholars, activists, artists, community and international organizations are encouraged to submit. This year’s CIES 2018 conference is focused on Remapping Global Education: North-South Dialogue. But the world is increasingly interconnected as our papers and discussion in the Economics and Finance of Education (EFE) Special Interest Group (SIG) showed last year. The inequalities stemmed from flows of monies not just within countries, but from the influences of global business and finances and its effects across borders. These shifts have caused the financing of education and the shape and demand for labor within countries to change substantially. These links shape the parameters of the dialogue. Schools, education and the informal learning that takes place via digital media is increasing influences by these global flows of international finances, shifts in employment and business investment which, in turn defines the resources from which countries can draw for education. It defines who can get an education, who has access to the best education and who is left behind. As the CIES SIG which studies resources, our challenge is to submit papers which bring particular light to this issue. How can our work show how global resources play a fundamental role in shaping inequality as defined by links – generally north/ south links? Submit a paper to the EFE Sig for presentation. Any topic in the field of Economics or Finance of Education with an international focus will be considered. But, as a group, let’s put our heads together and see whether we can try to understand how each piece is part of a larger global picture that can help “remap” the dialogue of north and south. The ECE SIG encourages the submission of individual papers, group panels or workshops that engage with questions related to conflict, emergencies and education-broadly conceived, specifically those that align with the CIES conference theme, Remapping Global Education: South-North Dialogue, in Mexico City from March 25-29, 2018. Building on the theme of “Re-mapping Global Education”, the ESE SIG requests papers describing, challenging, and mapping the interaction between education and sustainability, the global spread of sustainable development discourse across and within borders, examining the tensions between various methods of teaching sustainability, and other topics more generally related to environmental and sustainability education. We are particularly interested in papers based on empirical research (qualitative, quantitative, and/or mixed methods). What valuable critiques of Western led globalization efforts arise from post-Soviet/socialist spaces of Eurasia? What insights on methodologies arise from researchers working in Eurasia and scholars from the region? In keeping with the CIES 2018 theme of Re-mapping Global Education, the Global Mathematics Education (GME) SIG is issuing a call for empirical and theoretical papers that contribute to the conversation on mathematics education in the global South from the global South. Research conducted in the North has long served as the basis for mathematics education and interventions across the globe. Calling attention to, and drawing from, evidence-based research from the global South can contribute to our understanding not only of mathematics teaching and development/learning in the South, but in the North as well. In addition, we encourage methodological approaches which incorporate voices from the South to expand our understanding about mathematics education practices. Teaching about globalization and education. If you plan to address any issue related to globalization, please make sure to identify the Globalization and Education SIG when submitting your paper or panel. This will ensure it is considered for the SIG’s highlighted sessions. This year’s theme, Re-Mapping Global Education: South-North Dialogue, aims to shift the traditional starting point of research to a greater extent toward the global South. Taking advantage of the widening epistemological parameters of our field, we will focus the conversation on theories and methodologies produced in the global South, with a view toward exploring new voices around the globe. This perspective impels us to forge commitments with greater dedication more than ever across all kinds of borders and to re-envision possibilities for cooperation and mutual support in advancing education research and practice.The Higher Education SIG (HESIG) serves all of us by promoting and disseminating knowledge about higher education theory, policy, and practice-related issues. The SIG invites comparative researchers, policymakers, practitioners, representatives of local and international organizations, as well as non-governmental organizations to share their Higher Education research and insights to stimulate our discussions. We are looking forward to your paper and panel proposals. Our many sessions at the annual conference will articulate current issues and future ideas, and serve as the SIG’s platform for our 2018 Conference meetings and conversations. The program committee will give preference to group panels and individual papers that address this year’s theme, cross disciplinary boundaries, involve researchers from different countries and institutions, and connect academic scholarship with practitioners’ work. The Inclusive Education Special Interest Group will be hosting a number of panel sessions, workshops, and other activities throughout the conference. We invite papers that engage with questions related to inclusivity and education. We are particularly interested in papers that explore the multiple meanings of inclusion and education in a broad context. Papers this year should focus on the conference theme of north-south dialogue as well as reflecting ways that characterizing policy, practice, and research as inclusive education can address or perpetuate root causes of discrimination and inequality across constituencies. Topics of interest may include research addressing groups characterized as ‘excluded’; the relationship between financing mechanisms, equity and inclusivity; the need for disaggregated data for policy development and the ethics of research; and the dissemination and contextualization of policy and practice directed at greater inclusion. We prefer papers and sessions that focus on findings from empirical studies, with emphasis on promising practices and strategies rather than on negative barriers and attitudes. The IKA SIG-invites you to participate by contributing to furthering the conversation on Indigenous knowledge. We seek proposals for individual and group papers, group panels, round table, poster or workshops that connect Indigenous perspectives to this year’s theme – Re-mapping Global Education: South-North Dialogue. El tema de CIES 2018, “Redibujando el mapa de la educación global,” pretende desplazar, en mayor grado, el punto de partida tradicional de la investigación hacia el Sur global. Este giro no tan solo facilita un diálogo entre el Sur y el Norte, sino también mejora la comunicación entre el Norte y el Sur, y aumenta la colaboración Sur-Sur. El nuevo mapa requiere que nosotros, como académicos y profesionales, ampliemos nuestra conciencia de las voces, los actores y los productores de conocimiento que, históricamente, han sido marginados en investigaciones e instituciones educativas. Aprovechando la ampliación de los parámetros epistemológicos de nuestro campo, centraremos la conversación sobre teorías y metodologías producidas en el hemisferio sur, con el objetivo de explorar nuevas voces alrededor del mundo. Esta perspectiva impulsa a forjar compromisos, con mayor dedicación que nunca antes, más allá de todo tipo de fronteras y a repensar posibilidades de cooperación y apoyo mutuo para el avance de la investigación y la práctica educativa. En respuesta al tema de CIES 2018, el Grupo de Interés Especial en Asuntos Lingüísticos (LISIG, por sus siglas en inglés) invita a presentar propuestas que destaquen las maneras en que los asuntos relacionados con asuntos lingüisticos pueden expandir el diálogo entre el Sur y el Norte, y llevar a la colaboración y el entendimiento mutuo. Les alentamos a enviar presentaciones relacionadas con cómo investigadores, formuladores de políticas, profesionales, aprendices, sus familias y comunidades adoptan, negocian, batallan o ignoran algún idioma o algunos idiomas en relación a la calidad, la igualdad o la desigualdad en la educación. En particular, los invitamos a presentar propuestas que trasciendan la visión del lenguaje como un factor educativo poco problemático y aborden sobre la relación entre el lenguaje y multilingüismo en todas las facetas del proceso de enseñanza y aprendizaje. Además, le damos la bienvenida a investigaciones que consideren las maneras en que las políticas y las prácticas pueden no solo resolver, sino también producir y perpetuar desigualdades. También los invitamos a considerar el impacto de los enfoques del asuntos lingüisticos en la educación en la exclusión, la inclusión y la justicia educativa a nivel mundial. Por lo tanto, acogemos propuestas que aborden temas relacionados con el lenguaje, el bilingüismo, el bidialectalismo, el multilingüismo, el plurilingüismo y la justicia educativa para hablantes de lenguas o variedades lingüísticas no dominantes, incluidas, por ejemplo, el inglés vernáculo afroamericano, lenguas minoritarias y aborígenes, al igual que el lugar de las lenguas locales, indígenas, regionales y coloniales en contextos poscoloniales. Como primer paso hacia la reciprocidad y en honor a nuestro país anfitrión, LISIG ofrecerá la posibilidad de llevar a cabo actividades bilingües durante la conferencia. In response to the CIES 2018 theme, the Language Issues Special Interest Group (LISIG) invites proposals that highlight how language issues in education can work to enable South-North and expand South-South dialogue, leading to collaboration and mutual understanding. We encourage submissions that explore how researchers, policy makers, practitioners, learners, families and communities embrace, negotiate, combat or ignore language(s) in relation to quality and equity in education. We particularly welcome proposals that go beyond treatment of language as an unproblematic educational factor and engage identifying the relationship between languages and multilingualism in all teaching and learning. Furthermore, we invite research that considers the ways in which policies and practices may not only resolve, but also produce and perpetuate inequalities. We further invite you to consider the impact of approaches to language issues in education on educational exclusion, inclusion and justice on a global scale. We welcome proposals that deal with language, bilingualism, bidialectalism and/or multilingualism and educational justice for speakers of non-dominant languages or varieties, including for example, African American Vernacular English, minority and aboriginal languages, as well as local, Indigenous, regional, and colonial languages in post-colonial contexts. As a first step in mutuality and in honor of our host country, LISIG will offer the possibility of bilingual conference activities. The Middle East Special Interest Group (MESIG) is dedicated to advancing scholarship on educational issues in the region by highlighting contributions from members that draw on empirical research, historical or conceptual analyses, and/or case studies of educational policies, programs or pedagogies. The longstanding, rich history of MENA countries and their distinguished development journeys provide opportunities for not only North-South but also South-South and South-North dialogue and comparative approaches to examine educational issues, policies, and practices throughout the MENA region. The wave of popular uprisings beginning in late 2010 has engendered complex realities for educators, administrators, youth, civil society, and policymakers in the region. Economic pressures are exacerbating high levels of youth unemployment. Violent conflicts in Iraq, Gaza, Yemen, and Syria have fueled largescale humanitarian crises that show no sign of abating, while other states across MENA, including Egypt and Tunisia, are undergoing periods of political transitions. In such a milieu, to what extent do/can educational policies and practices in the MENA region contribute to overcome or reproduce structural, social, economic and/or cultural inequalities? How does education, broadly conceived, speak to and reflect the myriad challenges facing the region? What are some emancipatory, transformative and empowering Southern theoretical and methodological approaches valuable for and emerging from the MENA region? What South-South collaborations, theories and practices are being implemented to enhance teaching, learning, research and policymaking? How are students, educators and policy makers rethinking North-South dichotomies? In what ways have indigenous epistemologies contribute to forms of education in the MENA region? What are some education initiatives for and by indigenous peoples in the MENA region? In what ways do global inequalities in knowledge production and exchange manifest within and throughout countries of the MENA region. Submissions that draw upon critical perspectives are particularly welcome. Select the Middle East SIG when submitting your proposal if you wish to be considered for a MESIG highlighted panel. As explained in the CIES call for Papers, the theme of the CIES 2018 conference, “Re-mapping Global Education,” aims to shift the traditional starting point of research to a greater extent toward the global South. This shift not only enables South-North dialogue, but also enhances North-South dialogue and the expansion of South- South collaboration. In the case of our field of peace education, this shift is attentive to centering the voices most marginalized and/or silenced with regard to peace education praxis, knowledge production, and scholarship. Our CIES Peace Education SIG therefore invites proposals for papers, panel sessions, roundtables, and poster sessions that build on this theme and show commitment to highlighting the voices and stories least often heard and told in our field. The Religion & Education Special Interest Group (R&E SIG) invites papers for the Comparative & International Education Society 2018 Annual Conference, Re-Mapping Global Education; North-South Dialogue. R&E SIG consists of an international group of scholars who comparatively explore the links between education and religion across national, historical, and civilizational contexts. Religious Education Curriculum around the World. Please consider sending all South Asia-specific proposals to the SIG. The SA SIG Conference Program Committee will be organizing accepted proposals not selected for the two SIG highlighted sessions into thematic sessions. Please note that group panel proposals (of up to 4 individual presentations) will be considered. The panel paper selections will be led by the SA SIG Conference Program Committee. All proposals will receive at least a double-blind review. Accepted proposals that cannot fit into themed sessions will be sent to the CIES general pool to be included elsewhere in the program (this has very infrequently happened). Our goal is to work with the CIES Conference Committee like we have the last three years to coordinate this effort, and organize a South Asia-focused CIES represented in all its diversity! The first highlighted session calls for papers that study educational challenges and approaches of non-majority groups in South Asia and the diaspora. In using the word majority, we refer to the cultural dominance of particular groups, and not necessarily in terms of actual numbers, although in some cases cultural dominance may be related to greater percentage of the population. Globally and particularly in the South Asian region, there has been an increase in the State’s efforts at transnational, national, regional, and subregional levels to suppress non-majority voices in overt and covert ways. Moreover, research papers focusing on the South Asian region often describe local cultural contexts in terms of the majority culture. In order to map non-majority voices on a global scale, we invite papers that highlight the unique educational issues faced by non-majority groups, and approaches that seek to address these issues. The papers could be in-depth case studies of specific communities eg: education of refugees or migrants; challenges faced by religious/ethnic minorities and/or studies of educational strategies focused on facilitating better intercommunity dialogue and communication, and broadly falling under the scope of citizenship education, peace education, or human rights education. The second highlighted session invites papers that explore issues of educational quality in PK-20+ years in South Asia. Access to education has increased at different levels of education, and scholars are in agreement that educational quality needs to go beyond basic considerations of resource availability and credential acquisition. We invite papers that explore more complex and reliable ways of defining educational quality such as measurements of learning, skill development, and translation of knowledge and skills into enhanced livelihood and life outcomes. For example, there is evidence of an increase in young adults accessing higher education through distance modes. Yet, the question remains whether these credentials provide young adults with the skills needed to compete with others with the same credentials acquired through regular mode. Hence, we invite papers that expand definitions of educational quality in terms of how the completion of particular educational levels or programs transforms people’s lives in substantive ways or not. Aligning with the conference theme of shifting the “starting point of research to a greater extent toward the global South,” the TCE SIG invites educators from across the globe to engage in dialogue around the teaching of comparative and international education by submitting a panel or presentation. Students and professionals within our field share a commitment to redressing inequality and decolonizing approaches to international development. A course in Comparative/International Education is often a first contact with a professional and academic discipline that provides scholar practitioners with transformative theory and practical applications to finding solutions to nebulous problems of development and education. Over 100 years after Sadler pointed to the opportunities to learn between and among societies through education systems, we remain entrenched in a world characterized by populism, war, poverty and inequalities. As comparativists and internationalists, we understand the role schooling and education can play in both alleviating and perpetuating some of the greatest challenges of our contemporary period. The TCE SIG invites teachers of comparative and international education from around the world to propose panels and presentations sharing ideas and approaches, challenges and opportunities, and resources/experiences of working with students, practitioners and academics to redress global inequalities through C/IE. As teachers of Comparative Education, we work with students inspired to create change. In an era in which we are empowered with critical frameworks that challenge us to think beyond the hegemonic knowledge production of the global north and armed with the knowledge that schooling (re)produces cultural and social norms, we invite papers that grapple with how to harness the potential of comparative and international education courses to build on students’ own motivation and lived experiences? How do we build on our students’ commitments to move beyond binaries as they work for global justice? How do we structure our courses to address circuits of exclusion and inclusion in ways that capture students’ energies towards transformative practices? How do we support their desires to advance global educational justice, particularly in sustainable forms? Finally, how do we promote the work of comparative and international education in our courses to build connections with others in higher education who share our commitments to decolonizing education? We invite papers addressing these and other questions related to the Teaching of Comparative Education (TCE) and the broader conference theme of remapping education within the context of teaching in higher education. We look forward to discussions at the conference that deepen the theory and practice of working with students in our field of comparative and international education.